Expedia now offers few last minute flights to Spanish island Menorca for great price. 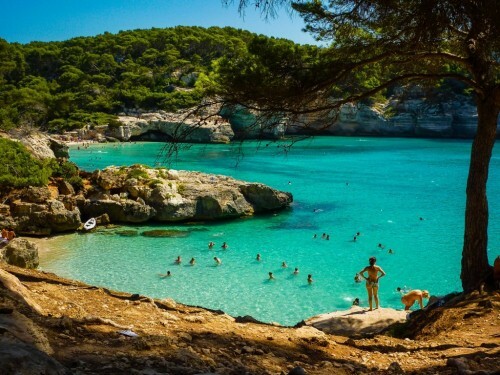 You can fly from Berlin, Munich or Dusseldorf to Menorca for only €109. Flights are operated by Air Berlin and there is luggage included in the price. Menorca offers all kinds of accommodation and the prices are fairly average for Europe. You can find accommodation for around €15 per person per night. Use our search engine to compare all major booking sites at once and book for the best rates online! Menorca lacks good public transport so it’s very recommended to rent a car. It is also a good idea to explore a bit more than just your town on a trip as there are many beautiful hidden beaches and the easiest way to do this is to rent a car and go on a small roadtrip. « Affair Travel 50% off discount 2013!